There’s a myriad of pallet racking and alternative storage options out there and different types of pallet racking serves different needs. For example, if you have limited floor space, a raised storage platform could be the answer for you, but for someone who needs to maximise their pallet storage, it’s not the right option. Similarly, if your products move quickly in and out of the warehouse, then a dynamic system is a great option, but if your warehouse needs to accommodate extra heavy or unusual size loads, a cantilever system may be more suitable. 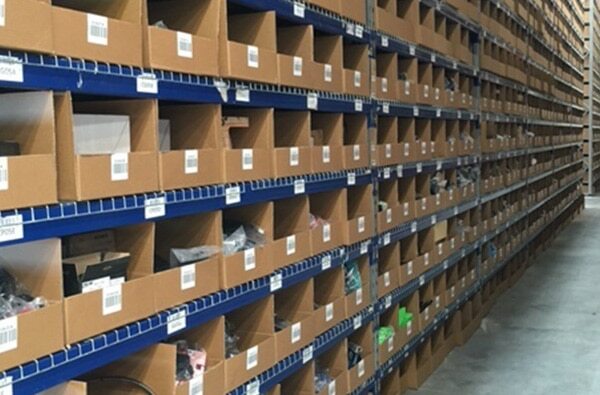 There really is a perfect pallet racking/storage system for everyone, and at Pallet Racking Solutions, we’re here to ensure all your needs are met with our custom design service. When buying a pallet racking system it is important to consider how you will expand in the future. If you only buy what you need now, with no thought for later growth you could end up having to buy a brand new system 5 years down the track. With accurate planning, you’ll inevitably be paying for storage that you won’t be using efficiently in the short term, but it means you’ll be able to avoid the need to rely on temporary storage and evade limiting your efficiency in the future. When thinking about this, you need to see your pallet racking as an investment that will suit your growing business not just now, but in the future too. When you buy racking, you should make sure that it is from a reputable company to ensure that they will still be around when the time comes for repairs and expansion. Estimating rather than calculating the load requirements of your racking system can lead to one of two disasters. You overestimate the load requirements of your racking system and end up paying more than necessary for a heavy duty system that you don’t need. Or you underestimate the load requirements of your racking and end up having to purchase additional racking. And if you choose not to purchase additional racking this could lead to a worst-case scenario of overloaded racking that causes a collapse. If you fail to consider the height your forklift can reach, you’ll either end up with part of your rack useless, or having to buy a new forklift. Miscalculating the depth of your pallets will render your entire system useless. And please don’t guesstimate your weight and capacities! Taking a guess at how much your racking needs to hold will significantly undermine the safety of your warehouse and product. 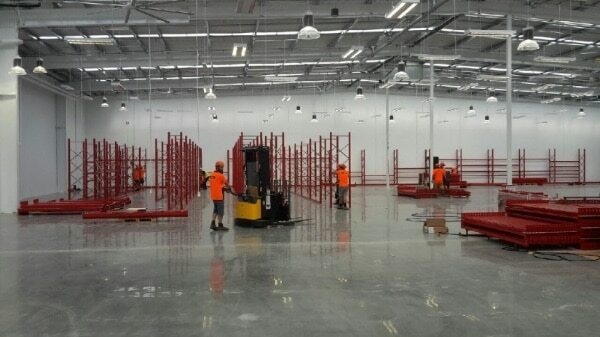 New pallet racking installations in New Zealand now require a building consent. 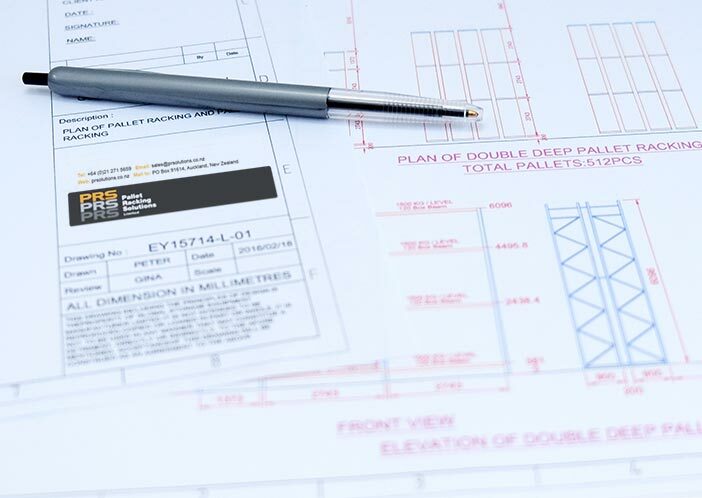 We can complete your consent, including the documentation needed to ensure the installation will comply with the New Zealand Building Code to learn more click here. Just because you are buying a new pallet racking system, this does not mean that you also have to buy new material handling equipment. However, if you don’t take into account the abilities of your existing equipment you may be faced with the task of replacing your entire fleet of material handling equipment i.e different forklifts are suitable to different racking styles. If not taken into consideration, you may end up with unused racking where your equipment can’t reach. Some types of racking do require specialist machines, such as narrow aisle pallet racking. Researching specific types of pallet racking that meet your requirements before you commit to buying will ensure you’re fully equipped and means that when you find the right pallet racking solution for you, there are no surprise extra costs for machinery. Overloading racking can cause irreparable damage to the system. To ensure that you do not overload your racking system make sure all team members using the system are aware of its load capacity. The load capacity of each shelf should also be clearly displayed to avoid confusion. The heaviest pallets or loads should be stored at the bottom of the racking. 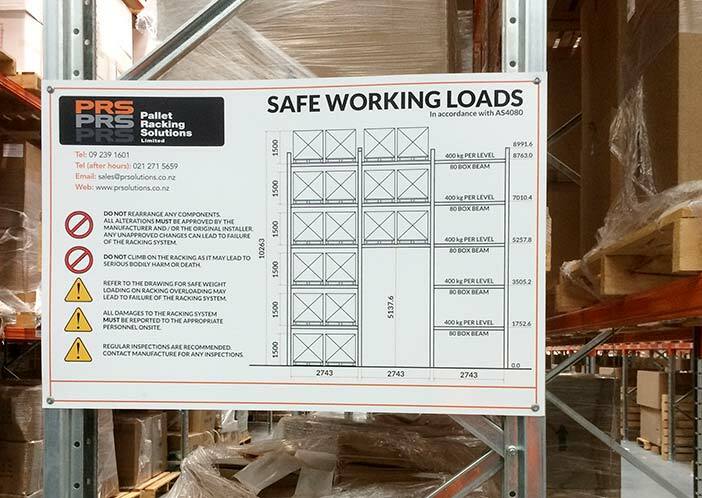 Safe work load signs should display the weight limits of each racking system as defined by the original manufacturer in conjunction with a structural engineer. Additionally, racking systems should be independently audited annually including checks of each safe work load sign. Learn more about our safety audits here. When racking becomes damaged it can compromise the structural integrity of the whole system. It is important that all damage to racking is immediately reported and scheduled for inspections or repairs where necessary. All warehouse staff should know how and where to report equipment damage to avoid any damage going unnoticed. 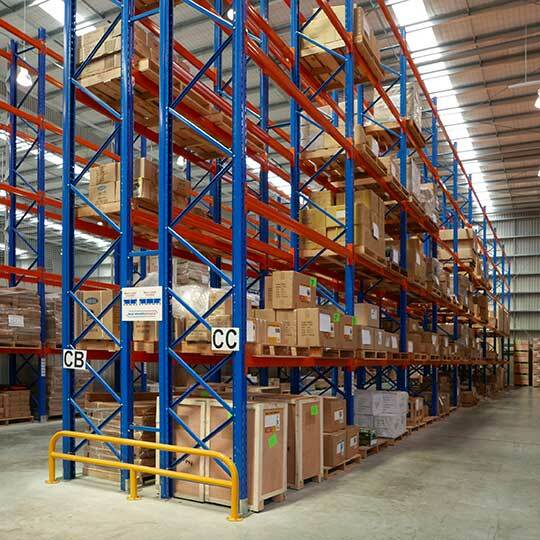 It is also important to regularly inspect the pallet racking system for unreported damage. Sometimes the damage may seem inconsequential however, there may be unseen resultant structural damage. Once damage to a racking system has been identified, repairs should not be delayed. If immediate repair is not an option, the racking should be unloaded and marked with the appropriate signage to avoid further use until repairs can be made. Collisions and overloading can lead to accidents or collapse. To reduce the risk of damage to your pallet racking system, ensure that anyone operating equipment in or near the racking is appropriately certified and licensed. Pallet racking and material handling equipment go hand in hand. And where there are material handling units and racking in close proximity there are inevitable accidents. Whether it’s just the edge of the forklift clipping the corner of an aisle or a full head-on collision, forklifts can cause some serious damage to your pallet racking if you’re not careful. Operator training can only go so far and even with the most well-trained forklift operators, a forklift is still likely to collide with your racking at some point. For a business, this can be disastrous and lead to days of clean up, thousands of dollars of damage and even staff injuries. That is why it is essential to protect your racking!! No matter the business, product storage is the lifeblood of the company and something you need to protect. There are many warehouse protection products available, check out our pallet racking protectors for more details. How hard can it be? 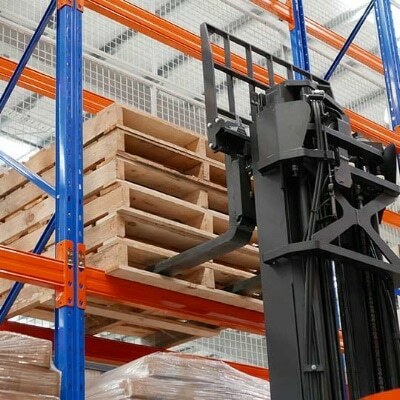 The reality is you need to know what you’re doing when moving or installing pallet racking. Our installers are Sitesafe qualified and hold the right licences – whatever your heights or machinery used – to meet the strictest regulations. Our service doesn’t end when the installation’s complete: we also conduct a safety induction for your team. So don’t cut corners, get it installed by professionals. Pallet Racking Solutions is a proudly New Zealand owned and operated company providing complete storage solutions for businesses nationwide. If you’re looking for experienced storage advice, quality products, service and installation – our team’s here to help. Contact us today if you would like to know more about our pallet racking solutions.